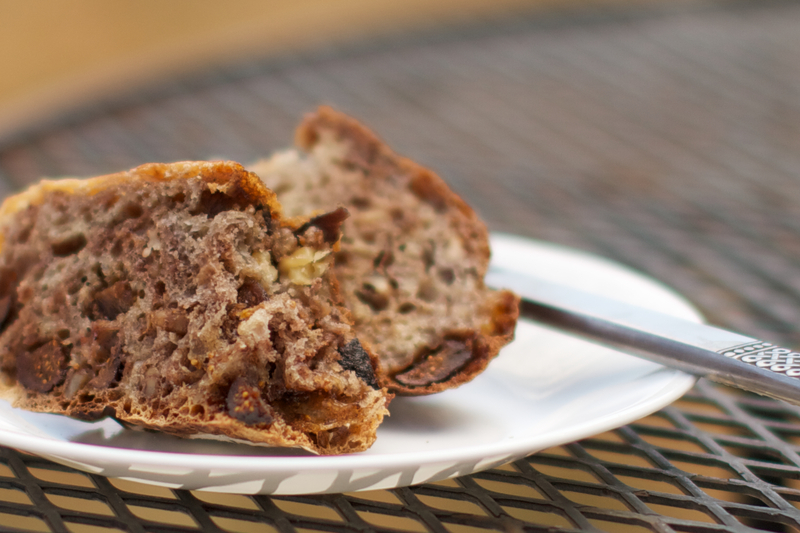 If you love figs, this is one delicious bread. 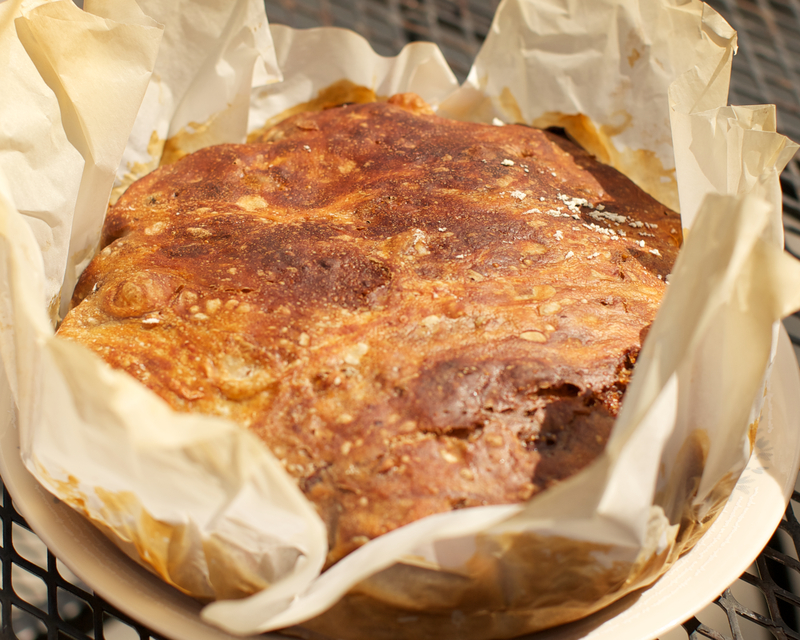 It kind of reminds me of my Italian panettone bread recipe. 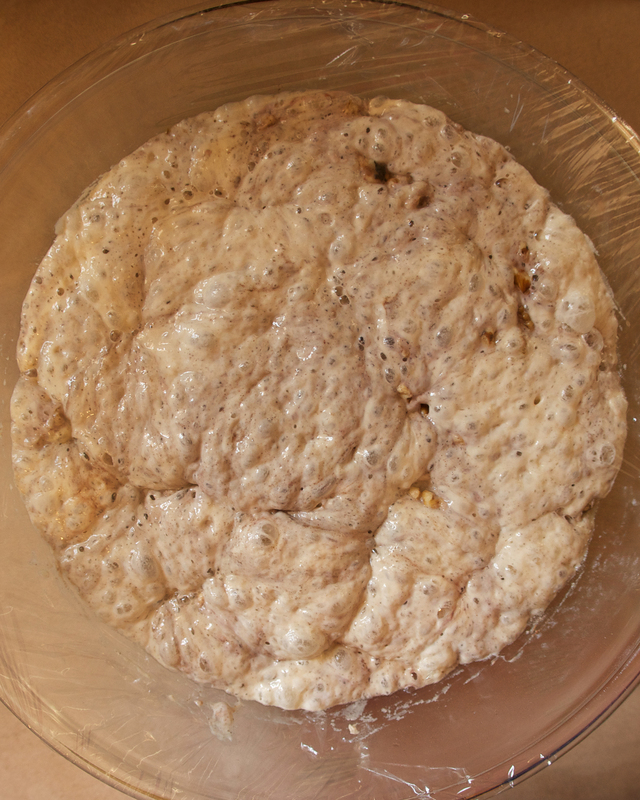 It’s a 2 day process to make a no-knead bread. It takes time to build up those air bubbles so plan ahead. Give it a try if you feel like something different. In a large bowl stir together the flour, yeast and salt. 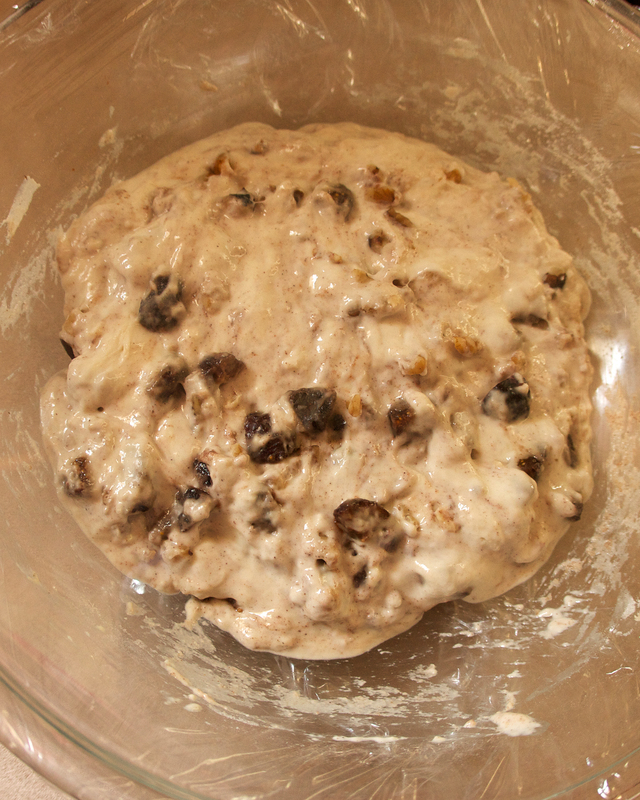 Add 1 1/2 cups plus 2 tablespoons water, and stir until blended; dough will be very wet. Add the figs, walnuts and cinnamon and stir to combine. Cover the bowl with plastic wrap or a plate and let it rest on the countertop for 24 hours at room temperature. This is right after I stirred it all together. This is after 24 hours. Just look at that bubbling dough. Place a piece of parchment paper on the countertop and dust it a bit with flour. Now scrape the dough out onto it; dust the surface generously with flour and fold the dough over itself a couple times; sprinkle again with flour and cover with a towel. Let rise for 3 hours. After 3 hours, turn your oven to 450F and put an empty 6 quart Dutch oven with top on inside to preheat at the same time. When it reaches 450F, take the pot out of the oven and lift up your dough grabbing the parchment paper and drop it into the pot. Cover with the lid and bake for 30 minutes, then uncover and bake for another 7-10 minutes, until crusty and golden. Slice while piping hot. Enjoy! This entry was posted in Uncategorized and tagged cinnamon fig bread. Bookmark the permalink. That looks so yummy, but it does take time.